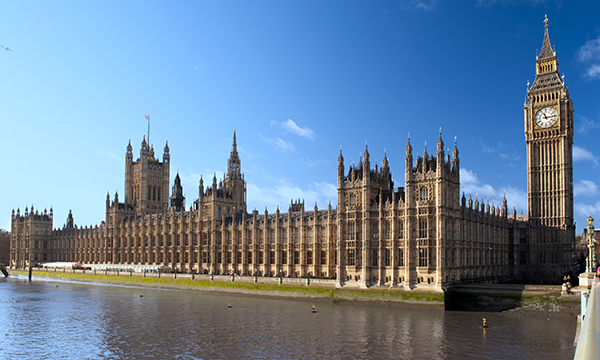 In January, the House of Commons health committee published its inquiry into the NHS workforce. Although the number of hospital nurses had gone up, figures show 11% of posts in England are now unfilled, which is having catastrophic effects for nurse leaders. So what are the answers for a greater retention strategy? Health and social care secretary Jeremy Hunt has hailed it as the biggest ever expansion of nursing training in the history of the NHS; this year will see the number of student places in England increase by 25% to more than 25,000. But even this may be too few to tackle the shortfall in nurses, MPs are warning, because of the growing problem with retention. According to the House of Commons health committee, more nurses have been leaving the NHS than joining it, so that the number of nurses working in England has fallen over the past year by about 1,000. This trend has compounded what was an already serious vacancy problem, the MPs say in their committee report on the nursing workforce. Figures provided by Health Education England show that 11% of posts are now unfilled, with the most serious problems being seen in learning disability and mental health nursing. In social care, where 9% of posts are vacant, the situation is little better. RCN nurses in management and leadership forum chair Sally Bassett says high vacancy rates are having a devastating effect on nurse leaders. ‘We’re running to stand still. It takes a lot of time, effort, emotional investment and skill to build up teams, and then to see people leave and have to do it all again is demoralising and detracts from where our energy should really go,’ she says. The cross-party group of MPs suggests that a combination of factors has been to blame. They cite workload pressures, poor access to continuing professional development (CPD) and a lack of feeling valued. Despite ministerial announcements that the 1% cap will be lifted this year, even on pay the MPs have warned that attempts to link any rises to productivity may be unrealistic. Some of the health committee recommendations are straightforward. The cuts to the CPD budget, which has been reduced from £205 million to £84 million in the past two years, must be reversed, committee members say. But there are other elements that require more careful consideration so the health committee has urged the chief nursing officer for England to write to all directors of nursing and find out to what extent nurses can take their breaks and carry out appropriate handovers. As part of this review, NHS England should establish a ‘nursing well-being reference group’ to advise on improving working conditions. Ms Bassett says she agrees wholeheartedly with the recommendations. But how much is the problem within ministers’ control? After all, Brexit, as the MPs point out, seems to have dissuaded nurses from other parts of Europe from wanting to work in the UK. Over the past year, there has been an 89% drop in the number of new joiners from other countries in the European Economic Area and a 67% rise in the number of leavers. The cross-party group of MPs says the government should give nurses further reassurances about the rights they and their families have to remain in the UK, while the Home Office needs to come out and say it will keep nurses on the shortage occupation list. But they have also raised questions over the English language test, which was introduced for other European nurses around the same time as the referendum on whether the UK should stay in Europe. While it is only right that nurses have good language skills, the MPs want the test to be monitored to see if it is placing ‘unnecessary barriers’ in front of nurses wanting to work in the UK. What's the situation in the rest of the UK? Northern Ireland, Scotland and Wales may have kept the nursing bursary, but this does not mean they do not have their fair share of problems. The number of applications for nursing courses has been declining across the UK, albeit not on the scale seen in England, which stands at one quarter over the past three years. However, the overall trend for the number of nurses and midwives working in the NHS is like that in England at least in Scotland and Wales. Since 2010, the numbers have increased by only 1% in Scotland and 3% in Wales. In Northern Ireland the rise has been above 8%. It means that all parts of the UK have trouble filling posts. In Scotland, the vacancy rate has recently topped 5%, the highest on record. RCN Scotland associate director Ellen Hudson says nurses are struggling with the workload and this is having ‘an impact on care’. In response, the government has defended its record. As well as the expansion of training places, new routes into nursing, for example though the nursing associate scheme and apprenticeships, are being tried and NHS Improvement is rolling out a three-year retention programme. Chief nursing officer for England Jane Cummings says she recognises ‘the challenges being faced’. But she insists that action is being taken at national as well as local level, where trusts are introducing ‘fantastic good practice’ by introducing clear routes for career progression and flexible working. However, even given this, there are some who think the emphasis is too skewed to the acute sector. NHS Improvement’s retention programme, for example, focuses only on mental health and hospital trusts. Clifford Kilgore, chair of the British Geriatrics Society nurses and allied health professionals council, says: ‘What concerns me is the focus on the hospital sector. There are more nurses employed in the community, primary care and social care combined than there are in hospitals. The government in England maintains plans are in place to tackle the workforce problems in nursing. So what is happening? The 1% pay cap in the NHS is being lifted in 2018, although details of the rise have yet to be revealed. Training places are increasing in number – rising by 25% this year to more than 25,000 places in England, the biggest ever expansion, according to health and social care secretary Jeremy Hunt. New routes into nursing through apprenticeships and nursing associate schemes. A Homes for Nurses scheme, giving 3,000 NHS workers first refusal on affordable housing generated through the sale of surplus NHS land. NHS Improvement is running a three-year retention programme providing direct support to all mental health trusts and half of hospital trusts. Health Education England’s draft ten-year workforce strategy promises the NHS will act as a ‘key engine for growth’ of nurses in social care.